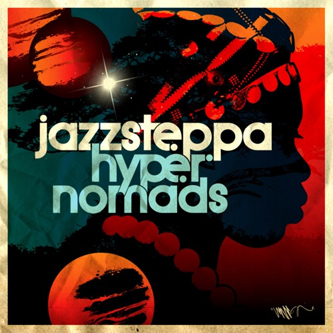 Studio Rockers' in-house Dubstep/Nu Jazz fusioneers follow up 2009s debut eponymous debut album with 'Hyper Nomads' - 19 tracks of blazing horns and bilious dubstep bass. The trio of AndreEa (vocals), BarBie (trombone, MC, effects) and Xperimentalist (DJ, drums, effects) are pretty much the only live Dubstep band worth mentioning (unless you count the three Macbooks of Magnetic Man), and maybe the only live Dubstep band in existence. 'Hyper Nomads' features UK HipHop crew Foreign Beggars on 'Raising The Bar', punky stepper styles on 'Baby, Don't Leave Me', Borgore-like rave squeal on 'Sweet Tooth', Shackleton-esque 'step on 'Stronger' and funky rollers on 'Naked Lunch'.